To reduce your cost, Brandsport offers this Gorila item in Bulk (sold here individually). Gorilla also lists this same item in 4-piece sets as Display Package # 41147XLBC and Bag # 41147XLBCB. 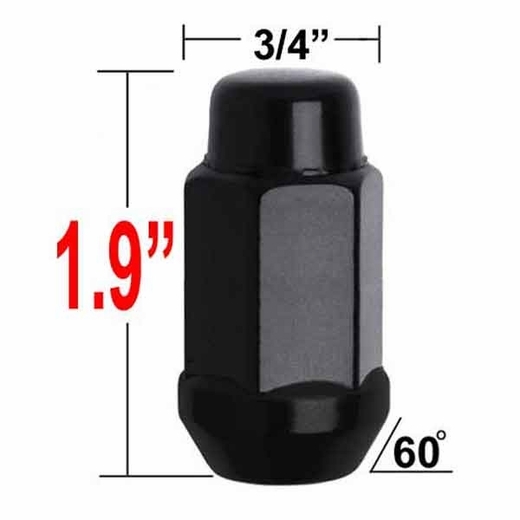 You can be assured a perfect fit with a set of Black lug nuts. Gorilla Black lug nuts are triple Black plated. Black lug nuts will help your wheels keep turning true. Enjoy the lasting beauty with a set of Black lug nuts. Looked around online and Brandsport was the only place I could find what I was looking for. Shipping was fast and the fit was perfect. Thanks!!! very fast shipping received order in a couple of days, excellent !